As part of their commitment to serve their customers better, they are excited to share with you their brand identity in the form of their enhanced logo and a revamped website : http://pangalan.com. 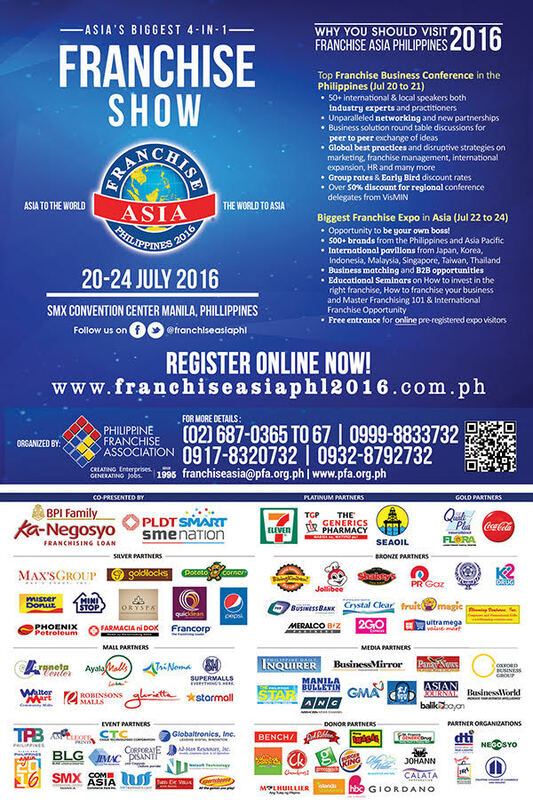 And as part of their launching, they will be joining the much anticipated #FranchiseAsiaPh12016 International Franchise Expo this July 22-24, 2016 in SMX Convention Center at SM Mall Of Asia (MOA), where customers can get special discounts plus freebies. You may enter for FREE by bringing a printed copy of this ad below. 22% OFF its regular price!